Car Alarm, Vehicle Security and Remote Start System with One 5-button 2-Way Keyless Entry Remote & One 2-Way LCD Remote. Protect your vehicle from thieves and vandals, and start your engine with the push of a button from up to 2,000 feet away. The Viper 5601 features two slender and elegant 5 button SuperCode remote controls. Based on the Best of Innovations Award-winning 2-Way Responder LE Security and Remote Start System. Protect your vehicle from thieves and vandals, and start your engine with the push of a button from up to 2,000 feet away. The Viper 5304 features one slender and elegant 5 button SuperCode remote controls & one 7351V 2 way LCD remote. Based on the Best of Innovations Award-winning 2-Way Responder LE Security and Remote Start System. Introducing the Ultimate 2-way Hybrid Security & Remote Start System, Responder LE. - The Evolution of Responder: Smaller, Sleeker, Smarter. These are Directed's smallest, thinnest, most advanced 2-way remote controls ever, operating a state-of-the-art, data enabled 2-way security and remote start hybrid that will install faster with fewer wires, and best-in-world vehicle integration, operation and performance. That's Responder LE! Directed's elegant new Responder LE transceivers mark a giant leap forward in 21st century vehicle security and remote start, and an evolutionary milestone for the keychain remote. These are Directed's thinnest, most advanced 2-way remote controls ever, with a clean sleek ergonomic industrial design, made to fit the user's hand comfortably, enabling effortless and intuitive single-handed operation. The tactile and aesthetic qualities of these new remotes are remarkable – cool and soft to the touch, with subtle colors (Ghost Platform grey front surfaces, Velvet Onyx™ soft black on the reverse, Midnight Charcoal™ flat black buttons, Obsidian Gloss™ black bezels). Inside, the simple user interface is powered by an 8 MHz microprocessor running the SuperCode™ protocol for advanced, software-based digital encryption and function control. There has never been a remote more intuitive, comfortable, and easy to use! 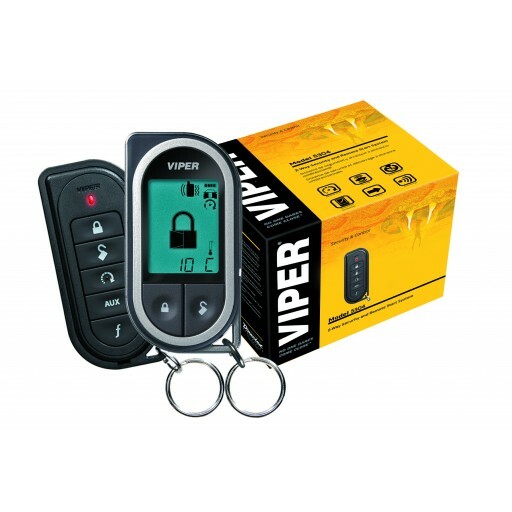 The Viper Responder LC 7351V remote enables you to lock and unlock your vehicle and start it from a distance with the touch of a button. The LCD display and low-battery indicator provide a clear view of the remote status at a glance. Contact your local dealer for more information. Responder HD features Viper's most advanced colour remote, operating a one-mile range, 2-way security and remote start system with an upgraded user interface, mini-USB charged port and patented menu wheel. The OLED display panel on the Viper Responder HD colour remote is 20% larger than previous LCD panels on a keychain remote. You can add a Viper SmartStart module to any compatible Viper remote start or security with remote start system to make your own system SmartStart ready. By adding a VSM250 module, your system will also be ready for SmartStart GPS.